Delhi-based Oravel Stays Pvt Ltd, the company behind the online short-stay accommodation portal Oravel.com, has received funding from DSG Consumer Partners and Lightspeed Venture Partners, sources privy to the development told Techcircle. 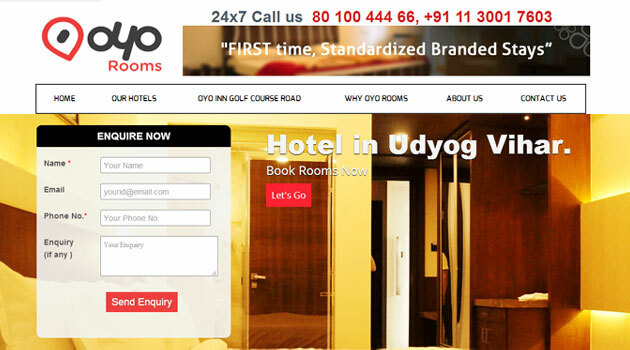 The company has also launched a branded marketplace called OYO Rooms for budget rooms. Sources revealed that DSG Consumer Partners and Lightspeed Venture Partners have together invested $650,000 (Rs 4 crore) in the company. The transaction was closed early last month. Earlier, Medianama had reported that Oravel had received funding from Lightspeed Venture Partners. The funding is expected to be invested in expanding OYO Rooms, which, according to its website, is a marketplace or a chain of branded budget rooms with standardisation of experience. These rooms or hotels will not be owned by the company, hence an asset light model. Currently, the service is available only in Gurgaon, where it has partnered with over a dozen hotels. When contacted, Oravel's 20-year-old founder Ritesh Agarwal said, "We are currently not speaking about the fundraising and other developments. Allow us sometime and we will come back with precise developments." DSG Consumer Partners' managing director Deepak Shahdadpuri and Lightspeed Venture Partners' principal Dev Khare declined to comment. Founded by Agarwal when he was just 17, Oravel, on the other hand, is a marketplace for boutique guest homes, inns, bed and breakfasts, serviced apartments, holiday rental and palaces, with more than 3,000 listings. Oravel was incubated at VentureNursery in 2012. A similar company, Stayzilla, which connects travellers with affordable accommodation in India's small towns, had raised series A funding from Matrix Partners in October last year.